This is a new prestigious competition, with prizes up to £15,000, planned to be held in London biennially. Its laudable aims and structure (the Britten concerto was a compulsory offering) are explained on its website and were underlined in the prizegiving ceremony before the Laureates Gala Concert. Quite a novel idea of the artistic director, violinist Dmytro Tkachenko, and his colleagues to conceive and bring to fruition a whole competition to promote the under-played, youthful violin concerto by an emerging great composer, who wrote it when of a similar age to those of the competitors ! Preliminary rounds were held at Goodenough College and the final ceremony, preceding concerto performances with the LSO, was at The Barbican. Goodenough College in Bloomsbury exists "to improve international tolerance and understanding amongst people on the brink of their careers". 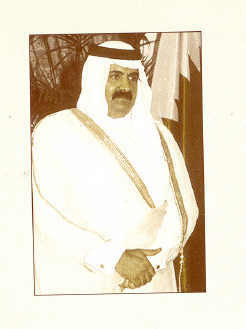 The City of London was highly involved in supporting the venture, and the major benefactor is the Emir of Qatar. It is not fair to judge a competition without attending early stages, which we and most of the audience at the Barbican had been unable to do (so, see reports on Classical Source). However, the evidence from hearing the four top prizewinning violinists suggested that there may not have been too many of others of the highest calibre in the field? That is not to denigrate at all the wisdom of the eminent Jury, headed by Ida Haendel, who told us how she had been captivated by the score of Britten's late teen-age violin concerto and toured world-wide with it, preferring to do the harder original version, which seems to have fallen into disuse - "very tricky", Prince Philip told her"! 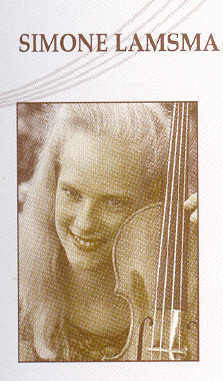 The Dutch Gold Medallist, Simone Lamska (19, as was Britten when composing his concerto) played on a Gagliano loaned to her as part-prize of a competition last year. She gave a wholly convincing account of the Britten Op.15 concerto (revised version), reaching a complete freedom in the final Passacaglia that had the large audience (many of whom would not have known the work) holding its collective breath - 'you could hear a pin drop'! It was idiomatic and totally assured, eclipsing the disturbing, uncomfortable experience of a recent account by Vengerov with Rostropovich (their subsequent CD is well rated, and he was playing it again at the Proms this same night). I look forward to hearing Simone Lamska soon in live recital and on Naxos CD. Because of the current interest in arrangements and original versions (q.v. BIS's success with the 1903 version of the Sibelius violin concerto) why not grasp the nettle proferred by Ida Haendel and commission Simone for her CD debut to make a première recording of that original version of the Britten concerto? Germany's Andreas Janke, playing a Strad on loan, produced the largest tone - unlike piano competitions which play on a flat field, violinists bring their own instruments - and he embarked on the first movement of the Brahms concerto with a determination to prove that he is a real concerto player. Not overwhelmed by Sir Andrew Davis's sometimes inconsiderately beefy accompaniments, Janke left us wishing he'd been allotted the whole concerto; what more can one expect? One worry, which is remediable, whether by genuine feeling or artifact; he looked totally unengaged with the music of the long tutti introduction, looking around as if it had nothing to do with him! Maxim Brylinsky from the Ukraine was properly more inward in the Brahms slow movement, and one soon became accustomed to his smaller tone, bringing the shared concerto to a satisfying conclusion. A very musical player who was 'inside' the music and gave me a feeling that he will be a musician to watch developing, and to hear in chamber music. I felt I understood why the jury had placed him above Janke. Matthieu Arama (France), opening the concert with Sibelius, was not in the same league on this showing. One feared the worst during his run-through of the slow movement, which could have been bettered, I thought, by several college students hereabouts. Probably nervous, he was generally gauche in platform manner, never looked or sounded as if he was playing a concerto with a great orchestra, and even forgot to take his bow! 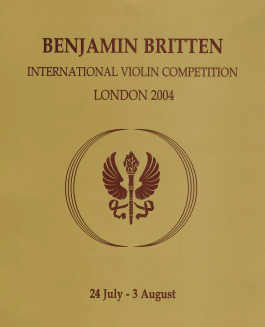 So, all in all, a satisfying concert which gave good hope for the Competition's future as an important feature of London's musical calendar alongside the great, firmly established, triennial International String Quartet Competition, scheduled to return in 2006, the same year that will look forward to the next Benjamin Britten International Violin Competition.